Social Media has creeped into the lives of educators, students, teachers & admins. Educators need to be aware of this reality and make the best use of social media. 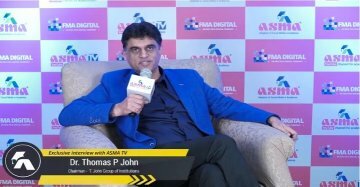 In this quick chat with #ASMATV, Dr Thomas John (Chairman – T John Group of Institutions) shares how education has progressed in 2 decades, importance of social media for new age educators, being wary of the rapidity of digital transformation and more.